Using the clairs (claircognizance, clairaudience, and clairvoyance) along with traditional playing cards, numerology, and automatic writing, I work as a conduit delivering messages from Spirit with love, relevance, and an everyday practicality for creating positive change. You’ll gain insights into the origins of your accomplishments, conflicts, challenges - revealing why some areas of your life flow with a more natural ease while others such as love, money, career, or relationships seem to provide greater challenges and repeated lessons. Why you attract certain types of people or situations. Discover how these have played a part in your joys and struggles - and more importantly, what you can do to better your life. With clients worldwide, Spirit provides me with the messages to pass along regardless of where you reside. Please realize that some of the messages that come through in a reading may not be what you want to hear but are what you are meant to hear in order to help you make positive choices and change to move forward with clarity and confidence. With a bachelor’s degree in Economics and 15 years in Finance, I have found my work as a psychic a shout from my soul. And I look forward to helping you find or validate the shout in yours. So don’t be shy about clicking through for an immediate reading to address your immediate questions and concerns. Your questions are important to me because they are important to you! Terri Weston is available for personal readings, as well as private parties and corporate events. Terri is tested and approved as accurate and ethical by professional associations and organizations. With a dynamic personality and a unique modern approach to psychic readings, she is not a “woo-woo” type of psychic. She is direct and candid during her readings with straightforward sincerity - practical, accurate, informative, and entertaining. Regardless of your psychic experience, her book (“Your Psychic Numbers - Find Out What Life Has Awaiting Your Through Numerology”) and her course (“Psychic & Intuitive Living by Your Numbers with Numerology”) are fun and easy resources for furthering your personal intuitive development. To learn more about Terri's services and her intuitive development resources, as well as her seemingly ordinary path to this rewarding work, visit her website. 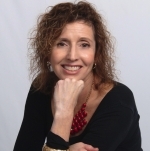 Terri is available for personal readings, as well as private parties and corporate events.